Dreams can provide an endless source of hope if you think they might actually come true. If only Lark knew whether or not to trust hers. Lark was so self-absorbed that at first I didn’t like her at all. It was hard to understand why someone who seemed to have so much going for her would behave so selfishly at times. Whether we’re kind or snobby, there are reasons why all of us act the way we do. 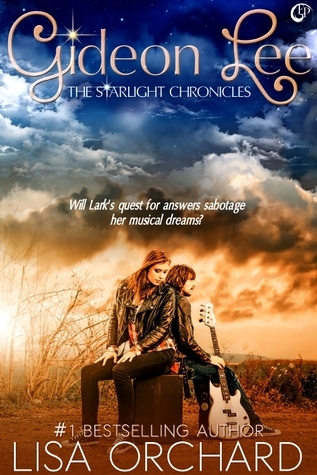 Once I figured out what Lark’s reasons were, I saw her behavior in a brand new light. It made her character development even more special than it would have been otherwise. There was a lot of material in this tale that was barely addressed. Some of it seemed to be written for mature teens, while other sections seemed more appropriate for readers in late middle school or early high school. To me it felt like the author was attempting to reach both audiences even though the subject matter is much darker than what I’ve typically seen being written for preteens.This book would have easily earned a much higher rating from me had it been expanded into a full-length novel, explored its dark subject matter more seriously, and been clearly meant for older teens. The premise itself was really strong, this just isn’t the sort of thing that should be marketed to such a wide age range. Not everyone who has a child is actually emotionally ready for that kind of responsibility. Some of the most interesting scenes in this novella explore the relationship between Lark and her mother. Lark’s mother didn’t strike me as a particularly mature adult. In a lot ways they actually behave a lot more like siblings than mother and daughter for reasons that I’ll leave up to future readers to discover for themselves. The realistic consequences of their dysfunctional living situation weren’t pretty, but they were well written. I’d recommend Gideon Lee to anyone who has ever dreamed of becoming a rock star.